A tearful Sara Bradstock still found the perfect way to describe 2015 Cheltenham Gold winner Coneygree, hailing her stable star as “the king” as his career ended at Ascot on Saturday. With tears on her cheek, Bradstock was still smiling as Coneygree stood sound as a pound by her side. Ascot rolled out the red carpet for a horse who defied statistics to become the first novice since Captain Christy in 1974 to win the Gold Cup, ushering him to the parade ring for one last hurrah, where he duly received a fond farewell from his many fans. Bred by Bradstock’s late father Lord Oaksey and trained by her husband Mark, there was a feelgood factor about Coneygree from the start and in particular during his Gold Cup-winning season, which started without his having run over fences and ended with a stirring success from the front at Cheltenham. 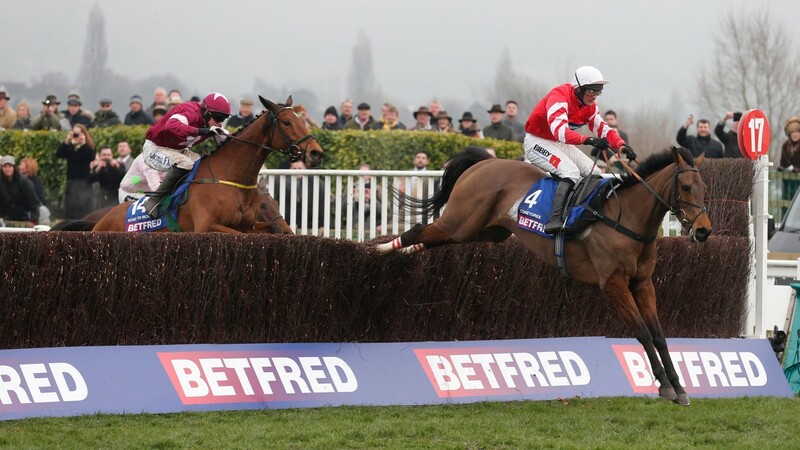 After an initial success over fences at Newbury, Coneygree landed the Grade 1 Kauto Star Novices’ Chase by 30 lengths. After following up in the Denman Chase, connections were bold and shunned the RSA Chase against fellow novices to chase gold, enjoying the ultimate reward. “I almost don’t remember it because it was all too stressful,” said Bradstock when asked to relive the Gold Cup. “It was just incredible because everyone said he couldn’t do it, but this horse is the king – he’s not scared of anything. 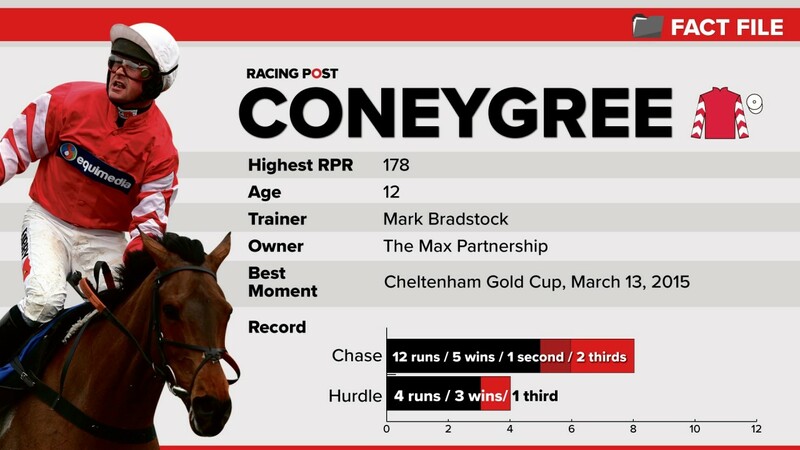 Saturday was only Coneygree’s eighth run since his Gold Cup win, injuries meaning he was never quite able to show the full extent of his ability again. Bradstock added: “He’s been in such good form at home that I quite fancied him today, but it’s just his injuries – he’s got pins in his hock and has had stress fractures in every leg – that won’t let him into that final gear. Coneygree retires as the winner of half of his 18 races, in which he earned £526,589 in prize-money.